Now that we’re getting close to 2018, many people are starting to think about Samsung’s Galaxy S9 and what the company might have in store for its next flagship. Luckily for them, the rumor mill claims to have spilled some details about the device today. 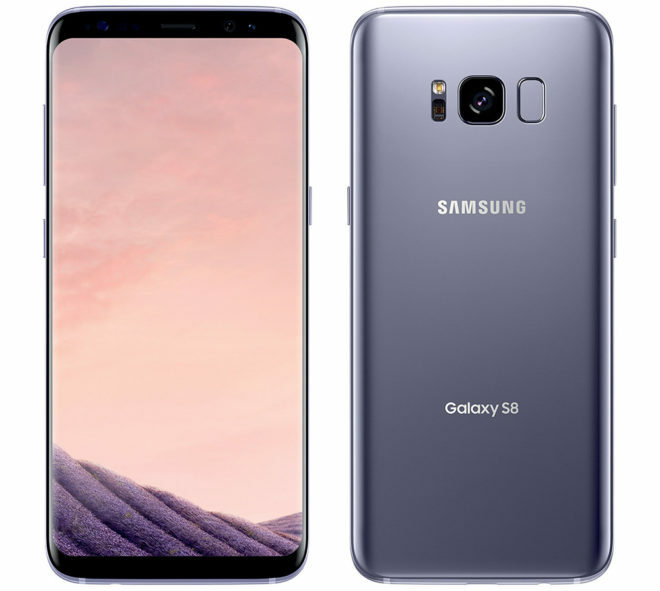 The Galaxy S9 and S9+ are expected to somewhat of an iterative update to the Galaxy S8 and S8+ , with sources telling VentureBeat that the designs of the new phones will be “nearly identical” to this year’s models. Rather than have the S9 and S9+ share spec lists like the S8 and S8+, though, it’s said that the new devices will differ slightly with regard to their feature sets. Samsung is reportedly planning to equip the Galaxy S9+ with 6GB of RAM and give the Galaxy S9 4GB of RAM. The S9+ is also expected to get a dual rear camera setup while the regular S9 will stick with a single rear shooter. As with this year’s S8 and S8+, the S9 and S9+ will have 5.8-inch and 6.2-inch Infinity Displays, too. Another notable change with these new models involves the fingerprint reader. Many complained about the placement of the fingerprint reader on the S8 and S8+, saying that it was high up on the phones’ backsides and that it could be easily mistaken for the rear camera. With the S9 and S9+, Samsung will reportedly place the fingerprint reader below the rear cameras, which should help make it easier to reach and easier to separate from the rear camera setup. Other features of the Galaxy S9 and S9+ allegedly include 64GB of storage, a microSD slot, 3.5mm headphone jack, and AKG stereo speakers. It’s unclear which processor they’ll be powered by, but Samsung is expected to choose a chipset with a 10nm fabrication, which could mean the Snapdragon 845. Also rumored to be coming with these new Galaxy phones is a new, backward compatible DeX dock. This device will lay the phones flat, letting you use them as a touchpad or keyboard. Interestingly, it’s said that Samsung could give us a preview of the Galaxy S9 and S9+ at CES in January. The company is reportedly still planning a full launch event for March, though, so the appearance in January may just be a sneak peek. The big trend in mobile right now is tall displays with slim bezels, so it’s not surprising to hear that Samsung may stick with the design used for the Galaxy S8 on the Galaxy S9. It is kind of a bummer that the S9 and S9+ might have different features, though, because it means that people that like smaller phones may not get the same experience simply because they want a smaller device. We’ll just have to wait and see what Samsung does. Does either the Galaxy S9 or S9+ detailed in today’s report interest you? Hard to come up with ground breaking features year after year, so I am ok with an iterative update. But if they really want to be innovative in the mobile world, make it something like $300 less than what the S8/S8+ costs. Now THAT would get people’s attention. These phone approaching the $1k price is simply ridiculous . 64gb storage will be so lame in 2019. From what I’ve seen, 64GB is plenty for most people. I don’t even use 32GB on my phone. And of course, there’s always the option of an SD card if your phone supports it. BATTERY. Get me through 48 hours without reaching for my charger. Innovate there. Only problem there is Samsung doesn’t design batteries so best they can do is optimize their hardware to use less energy for whatever battery they pick to be in the phone. Battery technology marches on at its own pace and it is much harder to improve on existing or come up with new technologies that can be mass produced. Actually, Samsung does make and design lithium-ion batteries, including phone batteries. 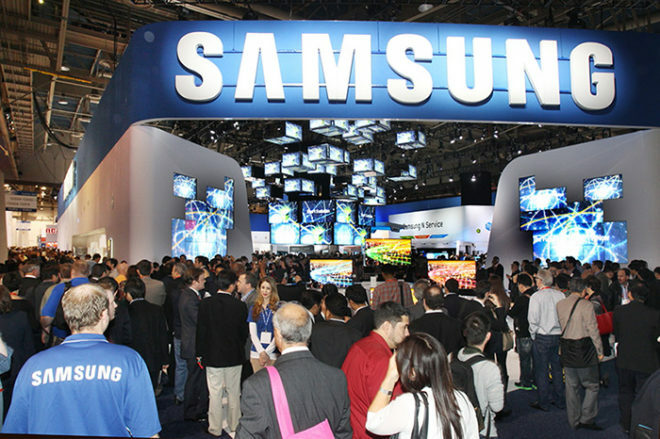 The subsidiary company they make them through is Samsung SDI. You are otherwise correct though. Battery tech (especially for small devices like phones) is notoriously difficult to improve upon. I figure it’ll take a major breakthrough for us to see any significant improvements at this point. It seems the new S8,line has problems with screens cracking by themselves,and Sammy blaming the customer,Galaxy S8 screen spontaneously cracking on his … | T-Mobile Support,beware before u buy. I really wish they’d go back to a model without the curved display. It actually hurts the user experience. I’m also not a fan of the 2:1 display ratio. 16:9 was much easier to reach the top. Until Android finally moves in app menus to the bottom of the screen, these taller displays are nearly impossible to reach. If those AKG stereo speakers are front-facing and have (relatively) good quality and volume, they might actually convince me to overlook the curved screen edge. I can’t reach all the way across my V30 without the area under my thumb touching the screen edge (causing annoying scrolling effects), and the V30 screen doesn’t even extend completely to the edge like the Galaxy phones do… lol. I hope LG G7 is a game changer G6 32gb nonsense is why I skipped . I loved the dual camera on the G5. The hubris of putting dual camera on plus model only SMH. This incremental update crap is ridiculous considering S8 is still lagging in sales behind the iPhone. What makes them think the S9 will beat an iPhone X. Same old same old OVER PRICED throw away phones. Spend big $ for couple new features that further complicate life with brighter display. It then becomes un-usable due to battery failure 1-2 years. When Samsung brings back removable battery , I will upgrade from S7. Until then I will refurb swap when needed under extended warrenty. As matter of fact I did S7 swap today due to battery failure after 17 months of use. Refurb is A+ like new condition so I got lucky there. Cheer up, you sound so depressed. Does every battery swap result in a refurbished unit? Worried about inability to read SIM card after a unit switch since only unit that encrypted it can decrypt it. Where did you get yours serviced? Samsung? Yes , every battery swap results in a refurb unit. As far as sim , no worries. Replacement device are shipped to T-store & rep will tranfer data etc has you covered. I meant: how will the new phone read the old phone’s SIM card encrypted by the old phone? Assuming the old phone is dead or broken.